Current Wind Map shows all birds heading to Minnesota. 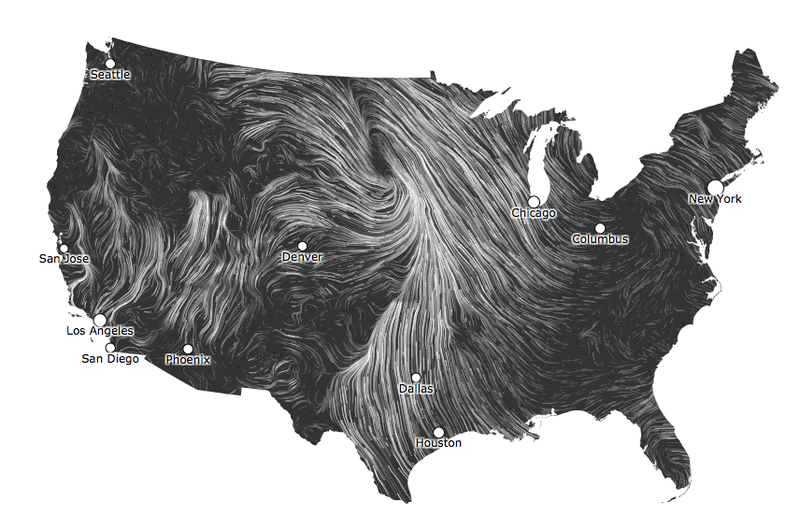 The current wind map shows all winds leading to Minnesota. I'm liking what this could mean for bird migration. This could be a good weekend to see birds. Then again, there's that pesky forecast of snow on Monday. To really appreciate the map you need to view it in motion.